Princess Diana's style has been examined endlessly, and the obsession with her clothes shows no sign of slowing down. In fact, many of her iconic looks were reworked for Off-White's S/S 18 collection, with models wearing her signature power shoulders, cycling shorts with blazers, pastel suits and sunglasses worn around their necks. 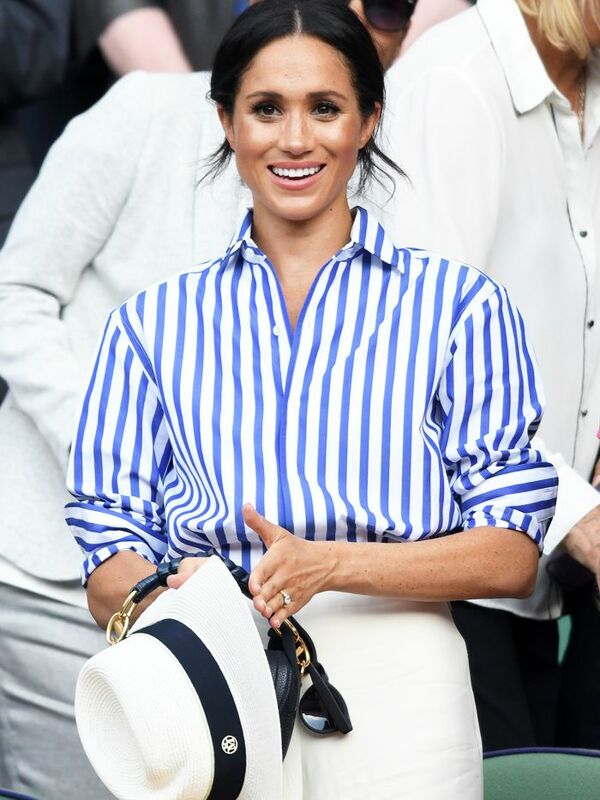 If you look at any Princess Diana style gallery or Instagram account (there are dozens, and you should follow them all), you'll spot many of today's biggest trends again and again—from bright colourblocking to heritage-check blazers to gingham trousers. The Vetements look might seem so modern, but we even found a picture of Diana in a boxy check blazer, sweatshirt and baseball cap that looks like it's the work of Demna Gvasalia. Scroll through the gallery below to see some of our favourite Princess Diana looks. 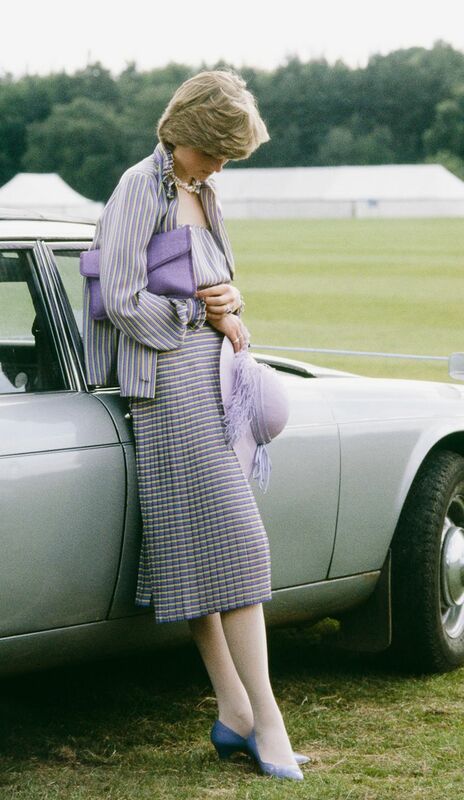 Style Notes: Lilac made a big comeback for 2018, and we love Princess Diana's matching hat, clutch and pumps. Style Notes: This silhouette is similar to the hugely buzzed about dresses by Alessandra Rich, with the double-breasted tuxedo bodice, pleated skirt and belted waist. Style Notes: Pencil skirts also made a return this year, and we love how Princess Diana countered the fitted silhouette with a puff-sleeved blouse. Style Notes: Diana's honeymoon floral dress is exactly what we want to be wearing right now. Style Notes: Sometimes one polka isn't enough, and Diana mastered spots by wearing her dotty skirt with a matching pair of socks. Style Notes: These two-tone pumps are still a wardrobe essential. Style Notes: Statement puff-sleeved midi dresses are another 2018 staple, and we love the simple white dress she wore in Australia. Style Notes: With her oversized glasses, ribbon at her collar and sheep-print knit, Diana looks like she's stepped straight off the Gucci runway. Style Notes: This white-and-black printed shirt was direct inspiration for Off-White's spring/summer 2018 collection. Style Notes: You can't have a Princess Diana style gallery without including this black off-the-shoulder dress by Christina Stambolian—she wore it at the same time as her TV documentary aired, and it has since been called the ultimate "revenge dress." Style Notes: Before Kim Kardashian-West and the rest of her family wore cycling shorts, this was a Princess Diana signature look. Style Notes: Red is the colour of the season, and Princess Diana was a big fan of a bold red coat. Style Notes: Princess Di loved her white high-waisted jeans, which are one of the key denim trends for spring. Style Notes: Our earring obsession shows no sign of slowing down in 2018, and Princess Di was a fan of a novelty chandelier earring. Sidenote: Pastels like this yellow are another key trend for this season. Style Notes: Princess Diana loved dresses like this with statement buttons. Very Rejina Pyo, right? Style Notes: Polka-dot dresses are everywhere right now. This was arguably Diana's favourite print. Style Notes: Heritage-check blazers are everywhere right now—from Isabel Marant to Zara. And although every street style star we can think of is wearing one now, this was one of Princess Diana's key style signatures. Style Notes: Princess Diana is often considered the poster girl of Sloane Ranger style, so it's hardly surprising that she was a fan of this preppy print. Her picnic-cloth cropped trousers are back once again. Style Notes: A boxy, checked jacket with dramatic shoulder pads paired with a sweatshirt, baseball cap and high-waisted jeans sounds like the work of Demna Gvasalia from Vetements, but in fact, Princess Di sported this way before DHL T-shirts became a thing. The '80s revival has made white pumps one of the most buzzed-about fashion items of the year. Mansur Gavriel's block-heel pumps are almost sold out everywhere, and these look like they have been lifted straight out of Diana's own wardrobe. Style Notes: High-waisted Levi's that skim the ankle are one of the key denim styles this year, and they were one of Princess Diana's go-to off-duty pieces. She usually paired hers with loafers, a belt, a heritage check jacket and a white shirt—an outfit combo you see in London every day. Style Notes: Dior's Lady Dior quilted handbag was Diana's signature accessory—so much so that in 1996, the Parisian fashion house renamed it the Lady in her honour. But this wasn't the only sophisticated handbag in her collection. Princess Di often favoured structured top-handle handbags much like the Gucci Sylvie bag and Miu Miu styles. Next up, see Meghan Markle's outfits before and after she became a Duchess.